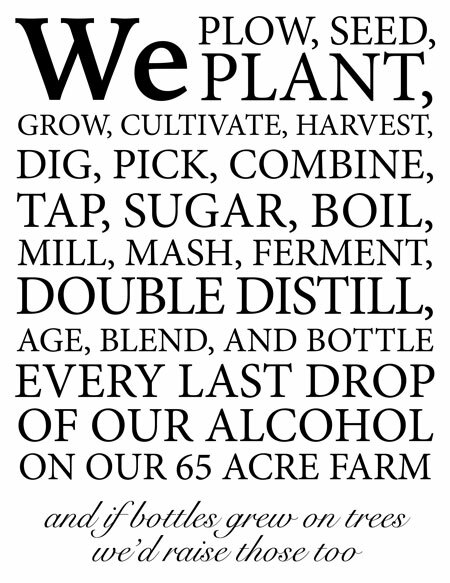 Looking for our unique, farm-fresh spirits? Stop on in to the historic Marshfield Village Store and visit our new tasting room and retail shop. We’ll have free tastings, a full cocktail bar all weekend, plenty of stocking stuffer nips, bitters and flasks. Come experience Vermont’s most diverse and delicious line of hand-crafted spirits. From our crisp and woodsy spruce gin to our wood-aged rums, cider cordial and sweet maple dairy liqueurs, we have something for all the grown-ups under your tree. Our on-farm tasting room at our distillery in Cabot will be closed until further notice. We’re a family-run permaculture farm working our land by hand to raise the finest grains and fruit for our spirits. We work hard to bring the flavors of our fields and forests to you in every bottle. We source the inputs for our spirits directly from our farm, and feed our distilling wastes back to our pigs and chickens. Waste-not want-not. We hope you can come see our wood-fired still, sample our fine spirits and visit our distillery we built ourselves with lumber we milled on the farm.